The LED Chesterfield style armchair is a unique, revolutionary yet contemporary piece of furniture. The initial concept was very clear to the Italian designers - to create a comfortable and functional outdoor armchair creating synergy between design and shape. 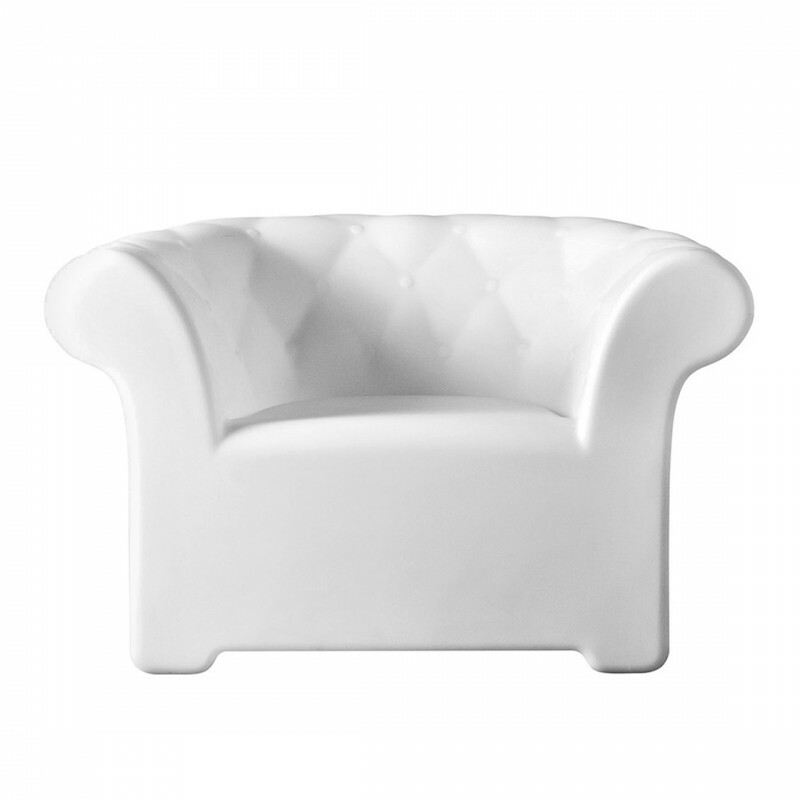 Its smooth lines retain special features, like the padded effect of the original British Chesterfield armchair. Ideal for indoor and outdoor events, its soft glow creates an ultra cool VIP feel to the space whilst retaining an air of sophistication. With our full range of LED furniture to choose from you can mix and match with tables, sofas, modular seating and lamps to create a magical setting for your exhibitions and events. We also stock a larger LED illuminated Chesterfield style sofa. Why not take a look at our full LED furniture range. Want to talk to us about your event?